Located in the southwest of Majorca, Andratx is a relaxing destination for holiday makers looking to take in some spectacular surroundings. Situated on the sun-filled tramuntana Coast, it is the ideal place to stay in a holiday villa and explore the mountain range and look forward for a superb infrastructure with a wide and quality selection of restaurants, bars and shops. Outdoor enthusiasts will love the variety of activities to enjoy here, including hiking, snorkeling, horse riding, and boat charter days. 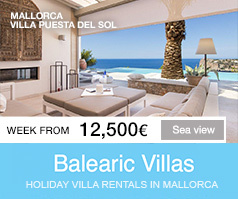 A holiday in Port Andratx is like staying in your own personal paradise. A villa rental near the sea, a luxury villa on the cliffs of La Mola , or even an apartment near the yacht harbour, all offer amazing sea views and a relaxing island atmosphere. 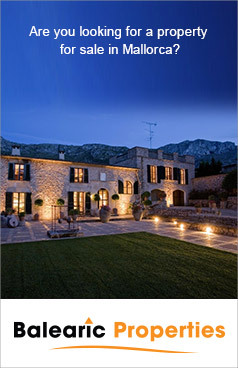 If you are planning to rent a villa in Port Andratx , consider booking a holiday rental for the event or renting a luxurious home for your family and friends to have an unforgeatable Majorcan breack.